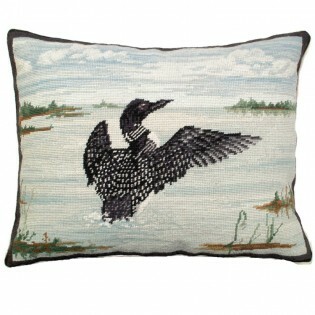 This Loon in Flight Pillow features a gorgeous black and white loon taking off in flight from the crisp blue water. Exquisite detail and realism are in this handmade needlepoint pillow. Handmade from 100% wool with a cotton velvet zippered back.